Back to buying holiday gifts. My hubby is kind of old school coffee meets technology. I am giving him Capreso’s Pour Over Kettle as one of his gifts under the tree. This is a 40 ounce goose-neck kettle that always pours evenly and safely. 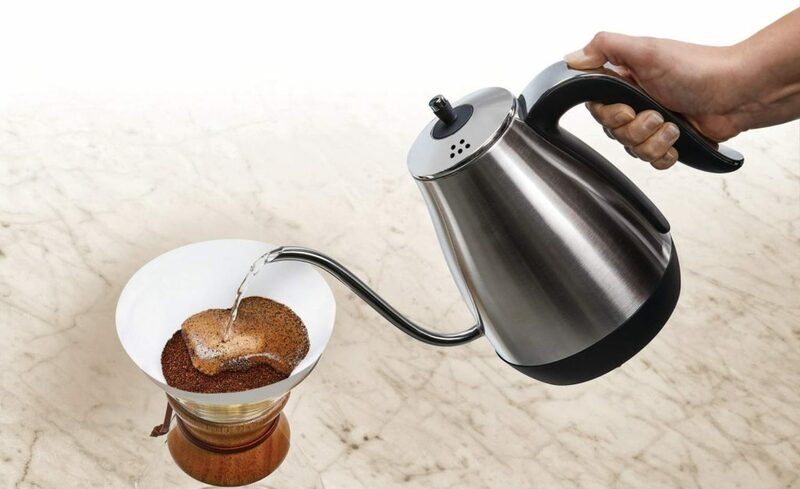 This means you have awesome control for pouring that hot H20 into your favorite coffee just freshly ground and ready! You can set your temperature (I like my coffee hot and he likes his sort of luke warm). You can pretty much control the temperature the entire coffee process from brewing to that second cup you enjoy. 72 temperature settings people! You can keep the pot warm for 30 minutes (I mean we don’t have much more free time for java in this house anyhow). Pricing is around $150 but this is super high quality and if you like brewing your own cup fresh to order like me each morning quite honestly this is a dream come true that I just got away with giving the hubby as a gift!